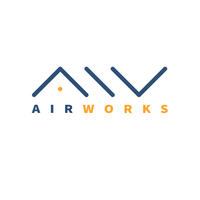 AirWorks is an MIT start-up focusing on industrial applications of UAVs. We have flown over a 100 commercial missions for clients in the surveying, solar, telecommunications and other industries. Our capabilities include video and image processing to deliver products to our clients that they can use to make business decisions. Our team includes two aerospace engineers who have worked on several UAV hardware and software projects, including payload modification and autonomous delivery missions. Visit us at http://airworks.io/.